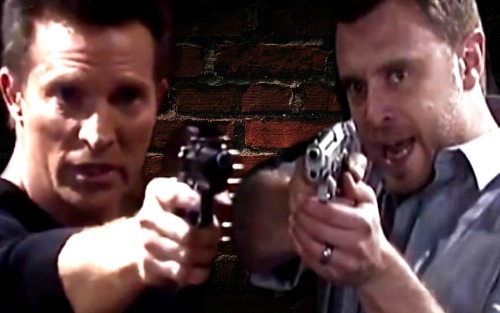 General Hospital (GH) spoilers reveal that a dangerous mission is underway. Anna (Finola Hughes) was certainly wary when Sonny (Maurice Benard) offered the latest evidence. She couldn’t make much sense of the manuscript either, but she noted it was unfinished. Just like this exciting twin story! It’s clear that GH has much more in store for us in the weeks ahead. Anna’s busy trying to take down Cassandra (Jessica Tuck) and babysit Finn (Michael Easton), so she doesn’t have much time for Faison (Anders Hove) drama. Besides, Anna would rather not stir up painful memories right now. She needs to stay focused on the task at hand. Sonny (Maurice Benard) is counting on Spinelli (Bradford Anderson) to uncover more secrets and leads. If they can track down Faison, they might be able to pry more info out of him. Jason (Steve Burton) and Sonny will hope to identify the traitor as well. He or she is the most important piece of this puzzle. General Hospital spoilers say Spinelli will dig for answers, but there are some concerns about his safety. Anna’s warnings were awfully serious during her conversation with Sonny. She seems to think this whole undertaking could spell trouble. Spinelli is a smart guy, so he’ll do his best to be careful. Unfortunately, that may not be enough to keep him out of harm’s way. There’s a good chance Spinelli will end up in over his head. After their chat with Britt (Kelly Thiebaud), Jason and Sonny determined that the traitor must’ve been the person Dr. Klein (Gene Farber) worked for. This baddie was desperate to keep Jason under control. If the traitor captures Spinelli, he or she would have major leverage. There could be some exchange demands. GH fans know that Jason and Spin share a special bond. You can bet that Jason would step up to save his friend. He would gladly trade his life if need be. Of course, Burton signed a three-year contract. That means we don’t have to worry about him going missing for any extended period of time. Still, this could be a great opportunity for Jason and Drew (Billy Miller) to bond. It’s possible that Drew will join the fight to save Spinelli. However, he could also rescue Jason if the traitor regains control of his subject. 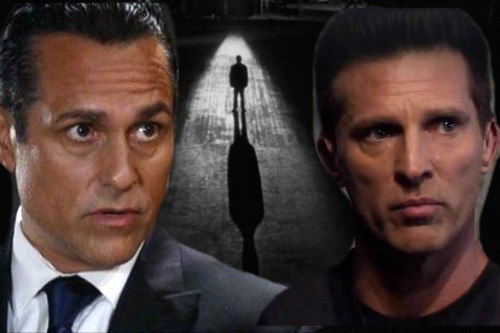 Regardless, this traitor mission could unite the brothers and lead to some real action for General Hospital fans. We’ll give you updates as other GH news comes in. Stick with the ABC soap and don’t forget to check CDL often for the latest General Hospital spoilers, updates and news.